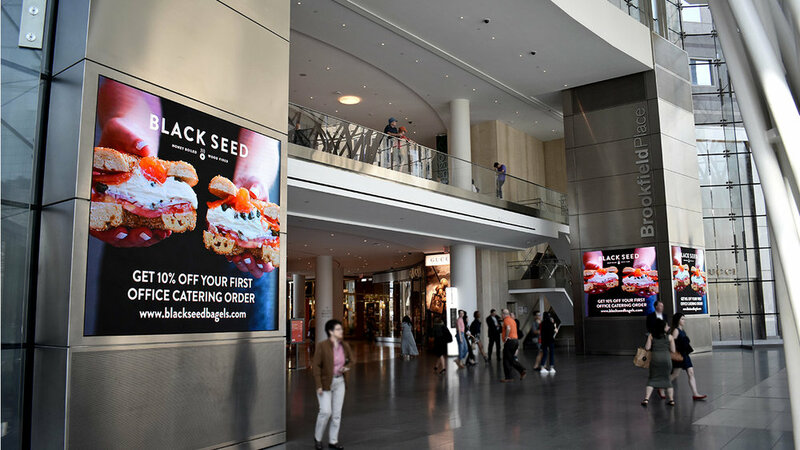 Located at 230 Vesey St. in the Battery Park City neighborhood of Manhattan, Brookfield Place is a 300,000 square-foot luxury shopping, dining, and cultural arts complex owned and operated by Brookfield Properties. Brookfield Place is located directly across the street from the Oculus, the state-of-the-art World Trade Center transit hub, which serves 250,000 Port Authority Trans-Hudson (PATH) daily commuters and millions of annual visitors. 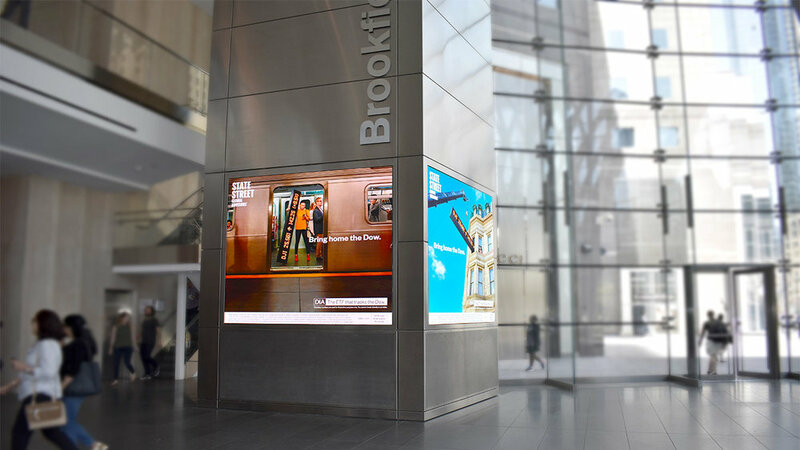 Featured prominently inside Brookfield Place’s pavilion entrance are four new 2 mm ULTRA-FINE PITCH S|Video™ LED displays. 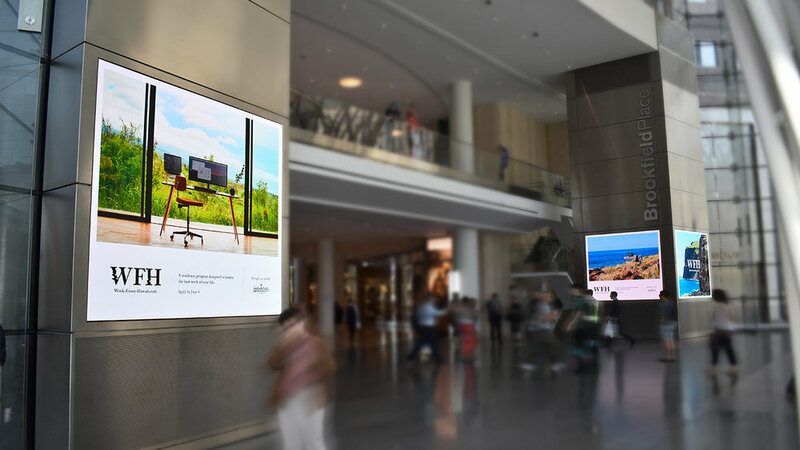 Each of these displays measures approximately 8’ x 10’ and has a resolution of 1,260 pixels by 1,440 pixels. Combined, the displays contain more than 7 million pixels. Retrofitting these four displays into the finished space called for the design and fabrication of custom support frames. SNA Displays worked directly with the building’s engineers and contractors to develop a support system that worked for the existing conditions. 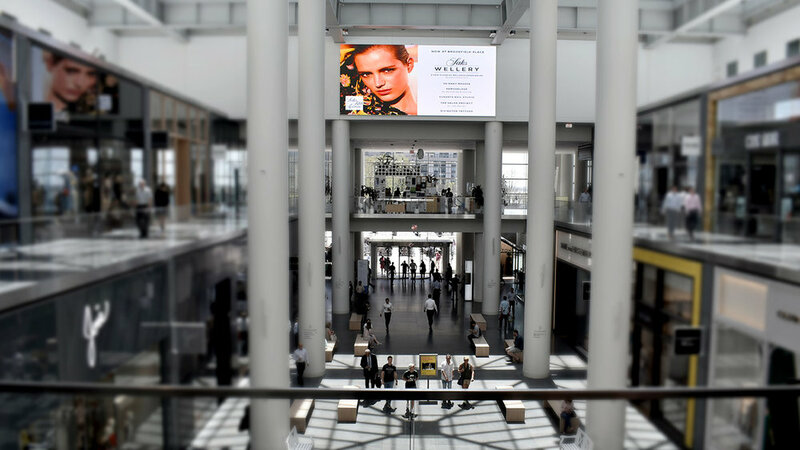 In addition to the entrance displays, two 6 mm FINE PITCH S|Video™ LED displays were installed at each end of the space above the second level, just below the courtyard’s sprawling glass ceiling. 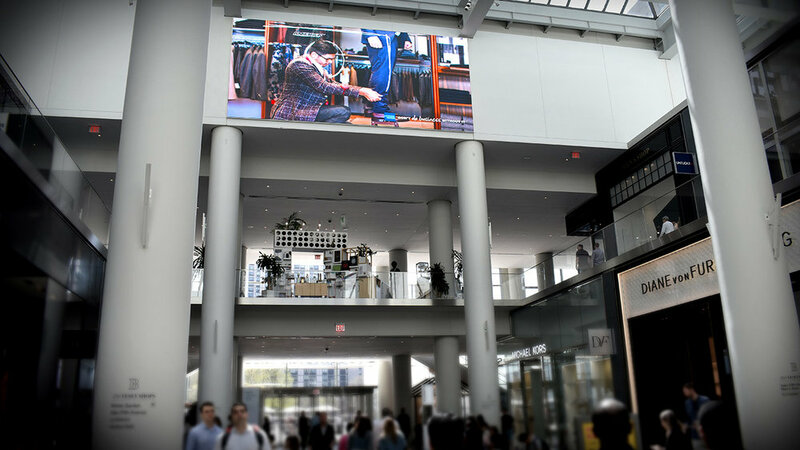 These two displays each measure 13’ x 30’ with a resolution of 680 pixels by 1,520 pixels. Combined, the two displays contain over 2 million pixels. The client’s goal was to minimize the protrusion of these two displays as much as possible. However, because of the building’s existing structure, recessing the displays was not a viable option. Instead, Sansi custom-engineered a thin, non-invasive cabinet, incorporated custom bevels to minimize profile, and mounted directly to the wall surface. 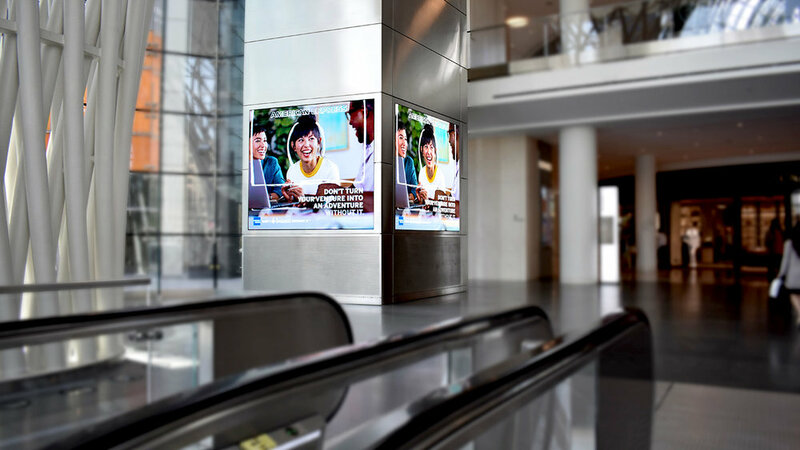 Developer consultant Pearl Media selected SNA Displays for the project based on the SNA's ability to adapt to the demanding project requirements and deliver displays with the remarkable resolution and build quality required for this project. Big, bold, brilliant, and fearless, Pearl Media cultivates and curates the best Out-of-Home media in prime locations across the country, adding luster and value to partner properties, life to brand stories, and delight to the millions of people who engage with them. SNA Displays also partnered with Hatzel & Buehler, a commercial electrical contractor, to assist with the installation of the displays.